AURORA, Ill. (Feb. 15, 2019) – Today, in celebration of International Angelman Day on Feb. 15, the Angelman Syndrome Foundation (ASF) partnered with Angelman syndrome (AS) advocate and father Peter Patterson to honor Dr. Harry Angelman, the British pediatrician who first identified Angelman syndrome. More than 50 years after Dr. Angelman’s discovery of this rare neurogenetic disorder, a plaque commemorating the global impact of his accomplishments was unveiled at Gosport Memorial Hospital in the United Kingdom today. The plaque installed at The War Memorial Hospital in Gosport (UK) when Harry Angleman retired too and passed away in 1996. Patterson, who lost his son to Angelman syndrome in 2003, campaigned for years to have Dr. Angelman’s achievements recognized in the U.K. Thanks to his dedication, the plaque now rests where Dr. Angelman passed, minutes from where he retired in Lee-on-the-Solent. In recognizing Dr. Angelman’s work, ceremony attendees also reflected on how far the global research community has come since his discovery, as well as the now global accessibility of ASF Angelman Syndrome Clinics (AS Clinics), founded by the ASF to provide the specific treatments that are desperately needed by people with AS of all ages. Since 1996, the ASF has funded more than $10 million in research studying AS, the root cause of the disorder, potential therapeutics, and ultimately a cure. Of that, more than $2 million has funded researchers outside the U.S., including those in Australia, Canada, Israel, Japan, The Netherlands, and the U.K. Most recently, the ASF, along with global partners, funded groundbreaking research to support the world’s largest newborn screening study for four rare genetic disorders, including AS. 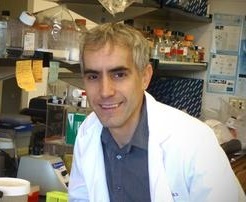 This pilot study, currently underway by Associate Professor David Godler from the Murdoch Children’s Research Institute in Melbourne, Australia, will validate the screening tool on a large-scale—ultimately leading to earlier and more accurate diagnosis, allowing therapies to be implemented at a much younger age. For Patterson, having an early diagnosis of AS for his son, Anthony, would have been life-changing. His family struggled for years without knowing what was wrong with their son, dealing with confusion and stress while battling the host of health challenges that come with AS. On December 6, 2018, Ovid Therapeutics announced plans to move ahead with a single, pivotal Phase 3 trial of once-daily dosing of OV101 in pediatric patients with Angelman syndrome. This is based on its End-of-Phase 2 Meeting with the U.S. Food and Drug Administration (FDA). If successful, the Phase 3 efficacy and safety trial is intended to support a New Drug Application (NDA) for OV101 in AS. Read the full announcement from Ovid Therapeutics. AURORA, Ill. (December 6, 2018) – The Angelman Syndrome Foundation (ASF) expands its Angelman Syndrome Clinic Network through collaboration with international partners: The Children’s Hospital of Eastern Ontario in Ottawa, Canada, and the Edmond and Lily Safra Children’s Hospital of the Sheba Medical Center near Tel Aviv, Israel. With the addition of these clinics, the ASF Angelman Syndrome Clinic Network has grown to 10 locations globally, including eight locations across the U.S. The ASF Angelman Syndrome Clinic Network is the first and only resource of its kind for individuals with Angelman syndrome (AS) and their families. Founded by the ASF, it leverages partnerships with leading medical and research institutions to provide individuals with AS the comprehensive care they need from infancy through adulthood. As part of the commitment to improving the lives of patients and families living with AS, the medical teams of the ASF AS Clinic Network also participate in the latest clinical research protocols and trials. And, the ASF AS Clinic Network is currently developing the first standards of care in AS. The purpose of the ASF AS Clinic Network is to reduce the frequency and severity of AS symptoms that interfere with function, such as seizures, behavior and sleep problems. In addition, the clinics work with families to develop educational recommendations to optimize educational programming for individuals with AS, thus helping these individuals achieve their full developmental potential. With the ultimate goal of improving quality of life for individuals with AS and their families, the ASF AS Clinic Network provides comprehensive access to experts who specialize in AS. These AS experts include neurologists, epileptologists, developmental-behavioral pediatricians, psychologists, sleep medicine physicians, rehabilitation medicine specialists, gastroenterologists, pulmonologists, speech language pathologists, physical/occupational therapists, genetic counselors, social workers and nutritionists. The Safra Children’s Hospital Israeli Angelman Syndrome Clinic within the Sheba Medical Center in Tel Hashomer, near Tel Aviv Israel, was established in partnership and operates in full cooperation with the Israeli AS Foundation. Occurring in one in 15,000 live births, Angelman syndrome is a neurogenetic disorder often misdiagnosed as autism or cerebral palsy – that causes severe neurological impairment, appears in newborns and lasts for a lifetime. During fetal development, the loss of function of a particular gene in the brain occurs, resulting in neurons functioning improperly and causing deficits in development. Individuals with AS experience developmental delay, lack of speech, seizures, walking and balance disorders, and typically exhibit a happy demeanor characterized by frequent smiling, laughter and excitability. The Angelman Syndrome Foundation’s mission is to advance the awareness and treatment of AS through education and information, research, and support for individuals with AS, their families and other concerned parties. The ASF sponsors AS research through grants to researchers pursuing treatments and a cure for AS. Since 1996, the ASF has funded 101 research grants totaling more than $9.5 million. The ASF has awarded a majority of these funds ($9.2 million) beginning in 2005. Dedicated to the best life for every child and youth, CHEO is a global leader in pediatric health care and research. Based in Ottawa, CHEO includes a hospital, children’s treatment center, school and research institute, with satellite services located throughout Eastern Ontario. CHEO provides excellence in complex pediatric care, research and education. We are committed to partnering with families and the community to provide exceptional care — where, when and how it’s needed. CHEO is a founding member of Kids Health Alliance, a network of partners working to create a high quality, standardized and coordinated approach to pediatric health care that is centered around children, youth and their families. Every year, CHEO helps more than 500,000 children and youth from Eastern Ontario, western Quebec, Nunavut and Northern Ontario. The Edmond and Lily Safra Children’s Hospital of the Sheba Medical Center is a university-affiliated tertiary referral center located near Tel Aviv, Israel. It is renowned for its compassionate care and cutting-edge medicine, state-of-the-art facilities and dedication for advancing research of pediatric disorders. It specializes, among other things, in the care and research of rare disorders and holds the national clinics of many of those such as Rett, Ataxia Telangiectasia, Tuberous Sclerosis, Fragile X and of course, Angelman Syndrome. As part of the hospital’s vision of providing holistic care to patients and their families, the rare disorders clinics provide multidisciplinary expert services scheduled all for the same day and a continuity of care into adulthood. The Safra Children’s Hospital offers its expert services not only to patients from all across the country, but also the Palestinian Authority, and the Mediterranean and Near East regions. AURORA, Ill., and WALNUT, Calif. (November 8, 2018) – The Angelman Syndrome Foundation and the Foundation for Prader-Willi Research announce funding to support the world’s largest newborn screening study for four rare genetic disorders: Angelman, Prader-Willi, Fragile X and Dup15q syndromes. The Victorian Medical Research Acceleration Fund this year also contributed $100,000 toward the project. The Angelman Syndrome Foundation’s mission is to advance the awareness and treatment of Angelman syndrome through education and information, research, and support for individuals with Angelman syndrome, their families and other concerned parties. The ASF sponsors Angelman syndrome research through grants to researchers pursuing treatments and a cure for Angelman syndrome. Since 1996, the ASF has funded 101 research grants totaling more than $9.5 million. The ASF has awarded a majority of these funds ($9.2 million) beginning in 2005. 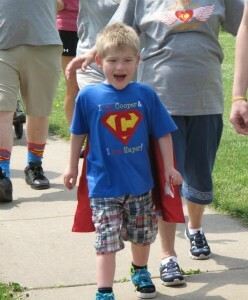 Prader-Willi syndrome is a rare, genetic disorder affecting approximately 1 in 15,000 people. PWS is a complex condition that impacts nearly every system in the body. The hallmark symptom of PWS is hyperphagia, an unrelenting appetite and extreme hunger. A person with PWS never feels full. There are currently no effective treatments to regulate appetite in PWS and individuals with PWS require a highly restricted environment to prevent life-threatening overeating and obesity. Additional associated problems include growth hormone deficiency, behavioral challenges, intellectual disability, anxiety, sleep disturbances, and scoliosis. For many individuals with PWS, the elimination of hyperphagia would represent a critical advance, bringing new possibilities for an independent life. FPWR is composed of thousands of parents, family members, researchers, and others who are interested in addressing the many issues related to PWS, including childhood obesity, developmental delays, psychiatric disorders, and autism spectrum disorders. The mission of FPWR is to eliminate the challenges of Prader-Willi syndrome through the advancement of research and therapeutic development. FPWR supports cutting edge research studies around the world to advance the understanding of PWS, and collaborates with research institutions, pharmaceutical companies and the FDA to advance new treatments that will help those with PWS. To date, FPWR has funded over $10 million in PWS research. For more information please visit https://www.fpwr.org/. 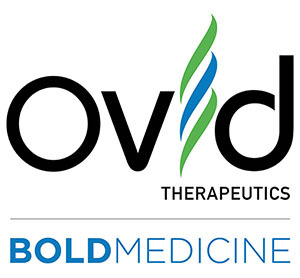 SEATTLE, Oct. 25, 2018 (GLOBE NEWSWIRE) — Ovid Therapeutics Inc. (NASDAQ: OVID), a biopharmaceutical company committed to developing medicines that transform the lives of people with rare neurological diseases, today announced additional exploratory efficacy data and analyses from the company’s Phase 2 STARS trial that further support the potential of OV101, a novel selective extrasynaptic GABAA receptor agonist that is being investigated to treat Angelman syndrome. Angelman syndrome is a life-long genetic disorder that is characterized by a variety of signs and symptoms, and for which there are no FDA-approved medicines or an established treatment paradigm. Following 12 weeks of treatment, OV101 showed a statistically significant improvement in CGI-I symptoms overall compared to placebo in a responder analysis (p=0.0206, combined dose group, Fisher’s Exact Test) and in the 15 mg QD dose group (p=0.0006, mixed model repeated measures (MMRM) analysis1 ). Remaining prespecified analyses were conducted across subsets in the domains of behavior [Aberrant Behavior Checklist (ABC-C), Anxiety, Depression and Mood Scale (ADAMS)], sleep (e-diary – caregiver reported sleep changes) and motor [Modified Performance Oriented Mobility Assessment–Gait tool (mPOMA- G)], and analyses of these endpoints did not show a statistically significant difference from placebo. Bayley Scales of Infant and Toddler Development Third Edition (BSID-III) was used to assess changes of ≥3 points from baseline (posthoc, responder analysis). OV101 (gaboxadol) is believed to be the only delta (δ)-selective GABAA receptor agonist in development and the first investigational drug to specifically target the disruption of tonic inhibition, a central physiological process of the brain that is thought to be the underlying cause of certain neurodevelopmental disorders. OV101 has been demonstrated in laboratory studies and animal models to selectively activate the δsubunit of GABAA receptors, which are found in the extrasynaptic space (outside of the synapse), and thereby impact neuronal activity through tonic inhibition. (CHICAGO) – Rush University Medical Center and the Angelman Syndrome Foundation (ASF), a national nonprofit organization headquartered in Aurora, Ill., announced the official opening of the Angelman Syndrome Clinic at Rush Children’s Hospital. 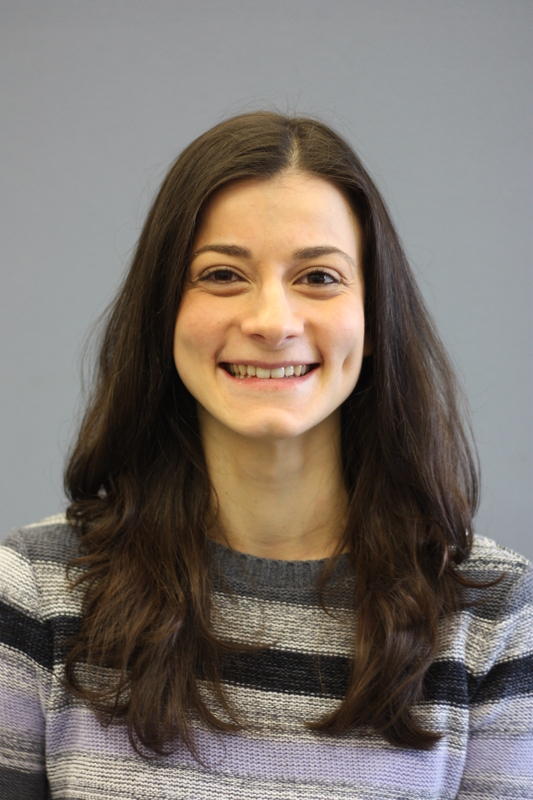 The Angelman Syndrome Clinic at Rush is the first and only in Illinois and one of only eight in the U.S.
“Our partnership with the ASF has allowed us to further meet these needs and provide the comprehensive medical services that improve patient and families’ quality of life,” said Ochoa-Lubinoff. Occurring in one in 15,000 live births, Angelman syndrome is a neurogenetic disorder often misdiagnosed as autism or cerebral palsy – that causes severe neurological impairment, appears in newborns and lasts for a lifetime. During fetal development, the loss of function of a particular gene in the brain occurs, resulting in neurons functioning improperly and causing deficits in development. Individuals with Angelman syndrome experience developmental delay, lack of speech, seizures, walking and balance disorders, and typically exhibit a happy demeanor characterized by frequent smiling, laughter and excitability. Caregivers need to provide constant supervision and often experience pain, stress, anxiety and exhaustion. 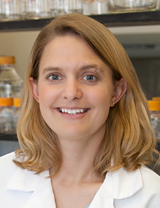 The Angelman Syndrome Clinic at Rush is unique as it can leverage the variety of expertise and specialized care available at the Medical Center to help individuals with Angelman syndrome from infancy through adulthood. The purpose of the clinic is to reduce the frequency and severity of Angelman syndrome symptoms that interfere with function, such as seizures, behavior and sleep problems. In addition, the clinic will work with families to develop educational recommendations to optimize educational programming for individuals with Angelman syndrome, thus helping these individuals achieve their full developmental potential. With the ultimate goal of improving quality of life for individuals with Angelman syndrome, the clinic provides comprehensive access to neurologists, epileptologists, developmental-behavioral pediatricians, psychologists, and a sleep medicine physician, rehabilitation medicine specialist, gastroenterologist, pulmonologist, speech language pathologist, physical/occupational therapist, genetic counselor, social worker and nutritionist all specializing in Angelman syndrome. As part of the commitment to improving the lives of patients and families living with Angelman syndrome, the medical team participates in the latest clinical research protocols and trials. The Angelman Syndrome Clinic at Rush University Medical Center is located at 1725 W. Harrison St., Suite 710. Chicago. Appointments can be made by calling (312) 942-9645. For more information about Angelman syndrome and the ASF, please visit www.angelman.org. For more information about Rush Children’s Hospital at Rush University Medical Center, please visit www.rush.edu. 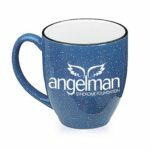 The Angelman Syndrome Foundation’s mission is to advance the awareness and treatment of Angelman syndrome through education and information, research, and support for individuals with Angelman syndrome, their families and other concerned parties. The ASF sponsors Angelman syndrome research through grants to researchers pursuing treatments and a cure for Angelman syndrome. Since 1996, the ASF has funded 101 research grants totaling more than $9.5 million. The ASF has awarded a majority of these funds ($9.2 million) beginning in 2005. For more information about the ASF, visit www.angelman.org. The most brilliant minds in Angelman and Dup15q syndromes collaborated for two days in Chapel Hill, North Carolina last week, sharing unpublished data and knowledge that is pushing the AS community closer toward treatments and a cure for AS. As the leading AS research meeting in the world, the ASF/Dup15q Research Symposium left each attendee—ranging from seasoned scientists and AS clinicians to post-docs and graduate students, who are all passionate about AS—inspired and super-charged to further their work in AS. We have a lot of work going on in clinical space including trying to identify measurable features to be used as outcome measures/biomarkers for upcoming clinical trials. This truly shows how far and quickly the science and understanding of AS is advancing. Attendees even made comments about how many clinicians from many specialities presented, which is great! I was impressed by the presentations about new, novel ways to modulate RNA that might be helpful for Angelman syndrome—they used approaches that haven’t been thought of before for AS. It was a perfect example of people thinking outside of the box, and how we can apply other learnings to AS to solve issues with Ube3a. Targeting and eliminating RNA in RNA disorders: RNA editing is transient which in terms of a specific targeting is a great advantage. Measurable parameters to determine altered morphology in human-induced pluripotent stem cell (iPSC)-derived neurons: As science progresses further, it’s more and more evident the need for biological systems that mimic the human brain. While we are far away from generating a faithful representation of a human brain in vitro, iPSC-derived neurons offer a very close approximation. The work of Judy Bloom and Stormy Chamberlain is in this sense an essential outcome measure. The comparison between Christianson and Angelman syndromes: I have always found fascinating the possibility of finding new Ube3a interactors via Angelman-like disorders, and current research that is focusing on common aspects in the pathophysiology and cellular biology of both Angelman and Christianson syndromes is incredibly interersting. NEW YORK – August 6, 2018 – Ovid Therapeutics Inc. (NASDAQ: OVID), a biopharmaceutical company committed to developing medicines that transform the lives of people with rare neurological diseases, today announced that the Phase 2 STARS trial of OV101 achieved its primary endpoint of safety and tolerability. The investigational medicine showed a favorable safety profile and was well tolerated in adults and adolescents with Angelman syndrome. OV101 is the only selective extrasynaptic GABAA receptor agonist in development shown to mediate tonic inhibition, a key underlying pathophysiological mechanism of Angelman syndrome. Ovid’s founder, president and chief scientific officer, Matthew During, M.D., DSc,FACP, will present the data today at the 2018 Angelman Syndrome Foundation/Duplication15q Research Symposium in Chapel Hill, North Carolina. The Phase 2 STARS international study is the first industry-sponsored, randomized, doubleblind,placebo-controlled clinical trial for Angelman syndrome. The study randomized 88 patients across three groups: a once-daily or twice-daily dose of OV101 or placebo. At the prespecified efficacy analysis at 12 weeks of treatment, OV101 showed a statistically significant improvement compared to placebo in the physician-rated clinical global impressions of improvement (CGI-I) – a measure commonly used in clinical trials that allows the physician to capture a constellation of clinical symptoms. CGI-I was ranked first in the topline statistical plan. Subsequent analyses in the hierarchy were conducted on a prespecified subset of scales across the domains of behavior, sleep and gait. While the analysis of these prespecified subsets did not show a statistically significant difference from placebo, full data analyses on these domains are ongoing and will be communicated in the future. Ovid intends to discuss these data with regulatory authorities to determine the next steps for a registrational pathway. Based on these data, the company plans to initiate in the fourth quarter of 2018 an open-label extension study (named ELARA); Angelman syndrome patients who completed any prior OV101 study may be eligible to receive the investigational medicine in this study. Angelman syndrome is a rare, lifelong, genetic disorder that affects 1 in 15,000 people in the U.S. It is characterized by severe impairment in behavior, learning, verbal communication, motor skills, and sleep, and there are no FDA-approved medicines or an established treatment paradigm for this condition. If approved, OV101 could be the first medicine to specifically target a key underlying neurological dysfunction of Angelman syndrome — impaired tonic inhibition that is most commonly caused by a disruption of the UBE3A gene. STARS was a 12-week, double-blind, placebo-controlled Phase 2 study. 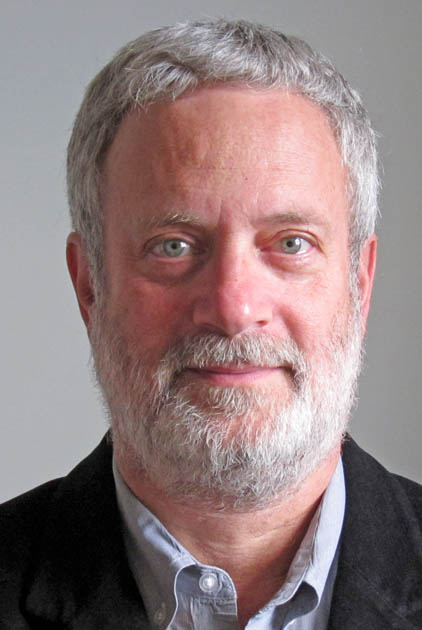 Eighty-eight patients (adults, n=66; adolescents, n=22) aged 13 to 49 years of age diagnosed with Angelman syndrome were randomized at 13 clinical trial sites in the U.S. and Israel. The study randomized patients to one of three arms: once-daily (QD) dose of OV101 at night (15mg), twice-daily (BD) dose of OV101 (10mg in the morning and 15mg at night), and placebo. The intent to treat (ITT) population was 88 patients. A modified intent to treat (mITT) analysis of 87 patients (mean age = 22.6), which includes any patient who enrolled in the study and received at least one dose of study drug, was performed to evaluate the efficacy endpoints. Treatment discontinuations due to adverse events were low. One patient in the placebo arm discontinued compared to no patients and three patients in the once-daily dose group and twicedaily dose group, respectively. 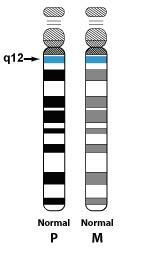 Ovid Therapeutics has created a website specifically to provide disease education on Angelman syndrome. Learn more at anglemansyndrome.com. Angelman syndrome is associated with a reduction in tonic inhibition, a function of the delta (δ)- selective GABAA receptor that allows a human brain to decipher excitatory and inhibitory neurological signals correctly without being overloaded. If tonic inhibition is reduced, the brain becomes inundated with signals and loses the ability to separate background noise from critical information. treatment of Angelman syndrome and Fragile X syndrome. The U.S. Patent and Trademark Office has granted Ovid patents directed to methods of treating Angelman syndrome and Fragile X syndrome using OV101. The issued patents expire in 2035. Nashville, TN, June 19, 2018 — The Angelman Biomarkers and Outcome Measures (A-BOM) Alliance today announced that the National Center for Health Statistics has designated a specific ICD-10 code for Angelman syndrome, a neurodevelopmental disorder caused by genetic mutations. The designation of the ICD-10 code resulted from a combined effort of the A-BOM Alliance, leaders in the biopharmaceutical industry, family physicians, specialists, pharmacists and other health professionals. The new ICD-10 code (Q93.51) will take effect on October 1, 2018. Until now, Angelman syndrome was included in the ICD-10 code Q93.5, which contains a large group of disorders with different genetic causes and different treatment strategies and is not specific to Angelman syndrome. The dedicated ICD-10 code for Angelman syndrome will make it easier for the field to conduct epidemiologic research and retrospective studies, determine true prevalence and morbidity and mortality rates, recruit patients for clinical trials, track outcomes of clinical interventions, and develop protocols for standard of care. The ICD-10 is the 10th revision of the International Statistical Classification of Diseases and Related Health Problems (ICD), a medical classification list from the World Health Organization (WHO). ICD-10 codes are used to document an individual’s medical condition for epidemiology, research, health insurance billing and reimbursement, and administration. The United States uses the ICD-10-CM, a Clinical Modification of the WHO standard, while Europe and other parts of the world use the ICD-10. therapies for the treatment of Angelman syndrome. Angelman syndrome is associated with a reduction in tonic inhibition, a function of the delta (δ)-selective GABAA receptor that allows a human brain to decipher excitatory and inhibitory neurological signals correctly without being overloaded. If tonic inhibition is reduced, the brain becomes inundated with signals and loses the ability to separate background noise from critical information.